President Trump’s Supreme Court pick Judge Brett Kavanaugh hearings devolved into chaos thanks to Democratic senators who attempted to delay proceedings while protestors heckled Republican lawmakers. You could see the Dems pre-agreed to disrupt. It was an orchestrated rebellion and just when I think they can go no lower. 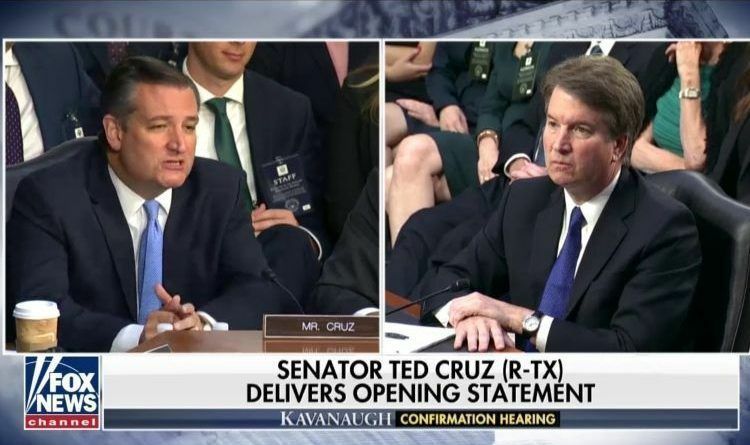 Today Ted Cruz gave the Dems a real hell during Kavanaugh hearing! Cruz said that Trump released his list of potential appointees to the American people and promised to elect Constitutional originalists.